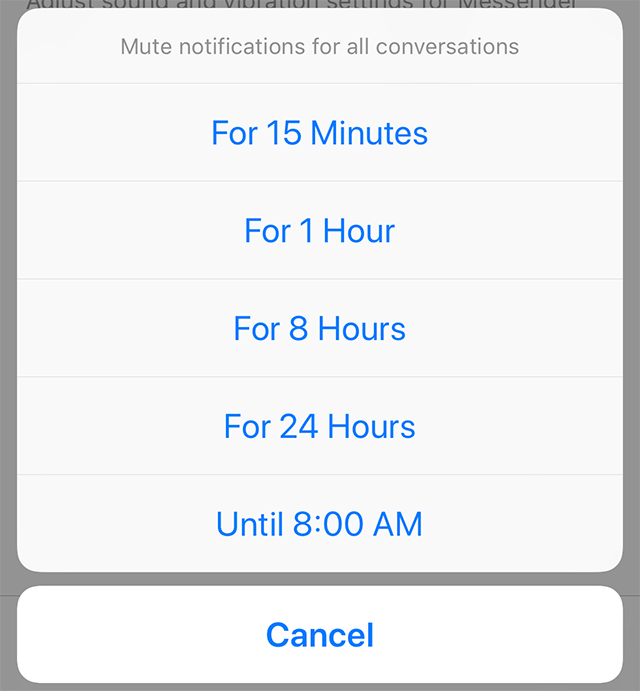 Have you ever wanted to temporarily turn off notifications from your Facebook Messenger conversations? Our guide will show you how to do just that. Note: If your app doesn’t have a “Me” button, you should be able to tap your profile picture in the top-left corner of the screen to go to the “Me” page. 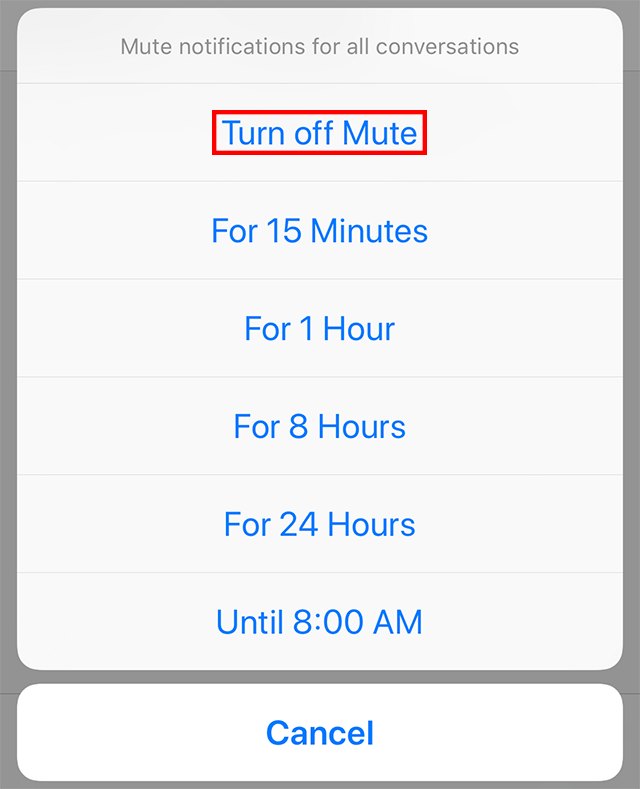 Step 4: Select one of the options to mute notifications for that length of time. The toggle will turn green to show that the Do Not Disturb setting is active. Note: If you want to turn notifications back on before your “do not disturb” setting expires naturally, follow Steps 1-3 above, and tap “Turn off Mute” on the menu that appears.